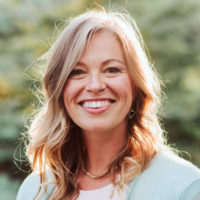 A wife and mother of four, Naomi Wendorff is a transformational speaker and facilitator utilizing appreciative inquiry and the LEAF method. She is the founder of Awen Growth and co-founder of Ridgetec Inc. Naomi faces Rheumatoid Arthritis and Bipolar Disorder; after losing 70+lbs, improving her mental and emotional health, building relationships and progressing in her businesses, it became her mission to use strength based, inquiry driven facilitation and personal coaching to foster connections to help others connect with their own passions. She is the author of the upcoming book “The Wonder of Me”; finding our own personal wonder, overcoming fear, and creating the life we want.